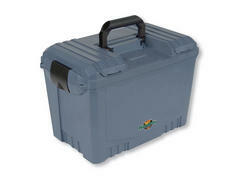 High-end waterproof tacklebox, which can not only be used for fishing from the boat or at the sea. 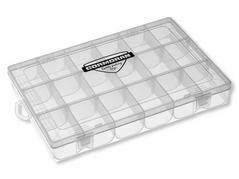 Double sided, twister resistant accessory box with handle. 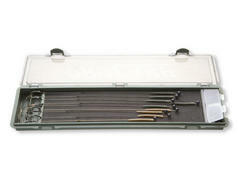 20 compartments which can be adjusted variably with 14 detachable dividers. 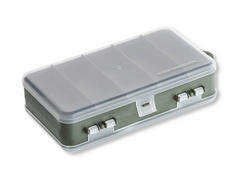 Medium sized, twister resistant lure and tackle box. 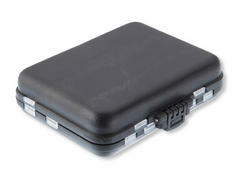 4 long adjustable compartments which can be subdivided in 16 variable compartments. Big lure and all-round box. 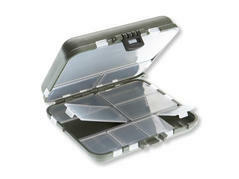 1 big compartment and 5 long adjustable compartments, dividable into 20 compartments. Twister resistant, double sided lure and tackle box with 5 long compartments on the one side, and 8 compartments on the other. Specially developed for straight storage of approx. 15 carp rigs. Fast and secure handling. With 2 separate mini boxes, where bait needles and hooks can be stored. Partable, bits-and-pieces box. Constructed for storage of hooks, leads, swivels etc. Perfect for the accessories of modern predator fishing as drop shot or finesse fishing. For hooks, swivels, beads etc. With 10 separately closeable compartments and 2 adjustable compartments, which can be divided into 10 variable compartments. Big transparent lure box with 4 fixed longitudinal compartments, which can be divided in up to 24 compartments. 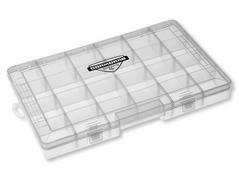 Ideal for the storage of soft plastic lures. 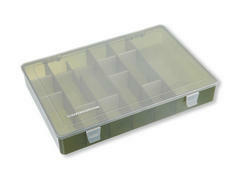 Medium lure box with 6 fixed lateral compartments, which can be divided in up to 18 compartments. 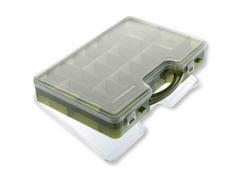 Ideal for the storage of soft plastic lures.